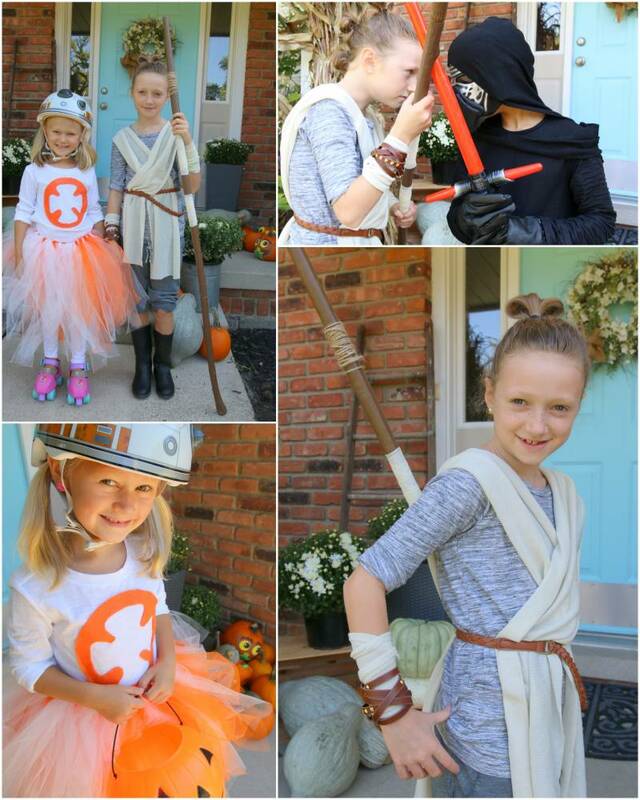 If you saw my post about the DIY BB-8 costume I made my daughter, you know we’re going with a Star Wars – Force Awakens theme this year for Halloween. 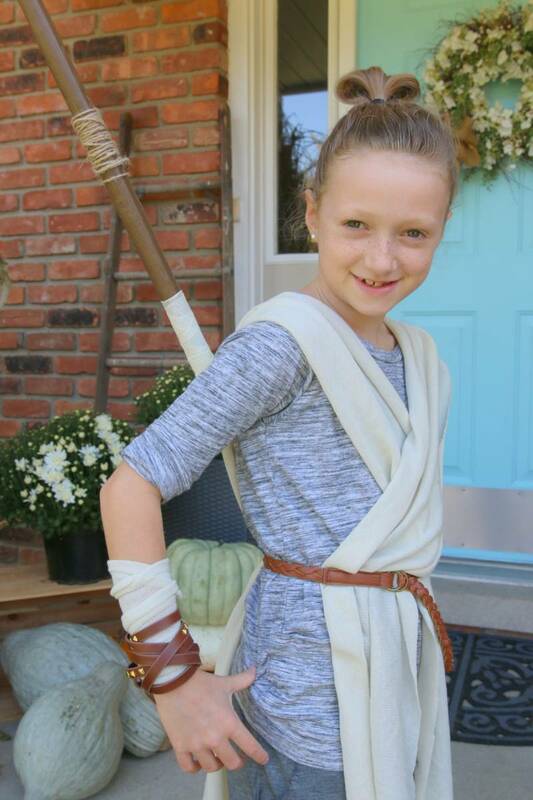 My oldest daughter was super excited to dress as Rey, but I just couldn’t bring myself to spend 40 to 50 dollars on an actual costume. I mean, have you seen her outfit?? It’s ridiculous how easy this was to pull off. 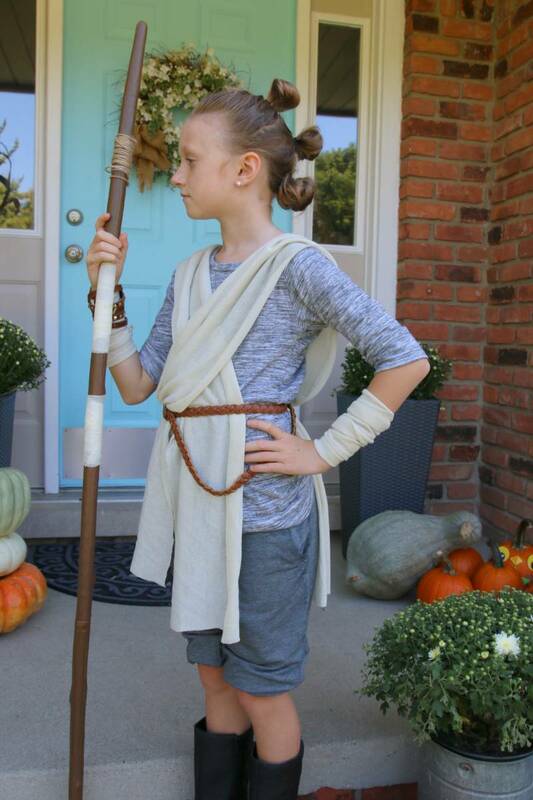 Hair: Like Princess Leia’s classic do, Rey’s hair is just as iconic and super easy to pull off. Pants: We went with capri sweat pants or “jogging” pants that have a gathered bottom and can be pushed up to the knee. 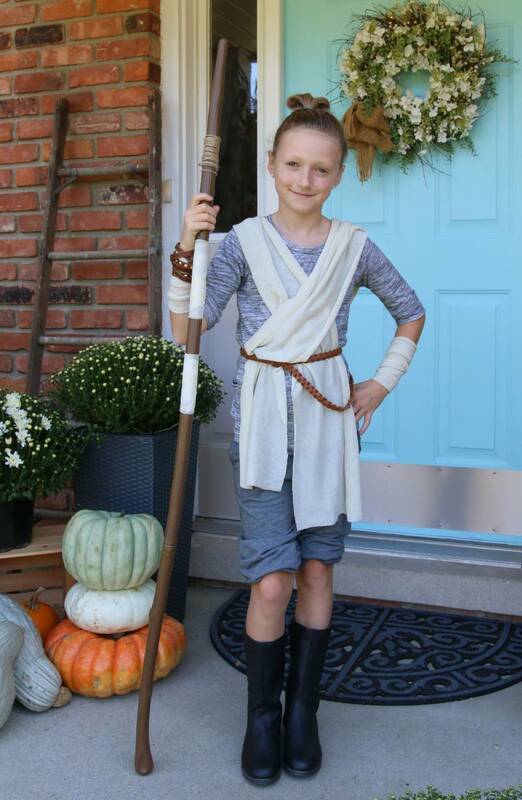 I cut pieces of this same fabric to wrap around the arms. Brown belt of some kind. I used one of mine that could be draped a little to one side. 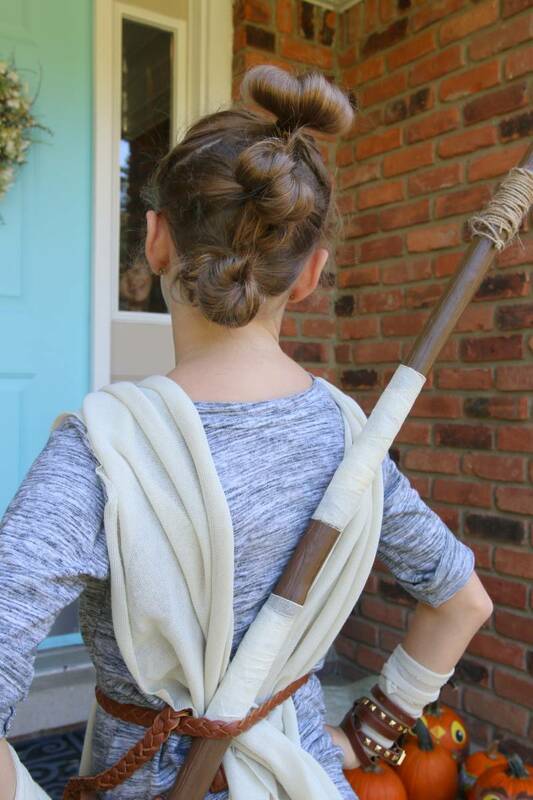 Rey has a brown bag that hangs from her belt, so if you want to get technical, you could get one of those, but I feel like it’s unnecessary to pull off the look. 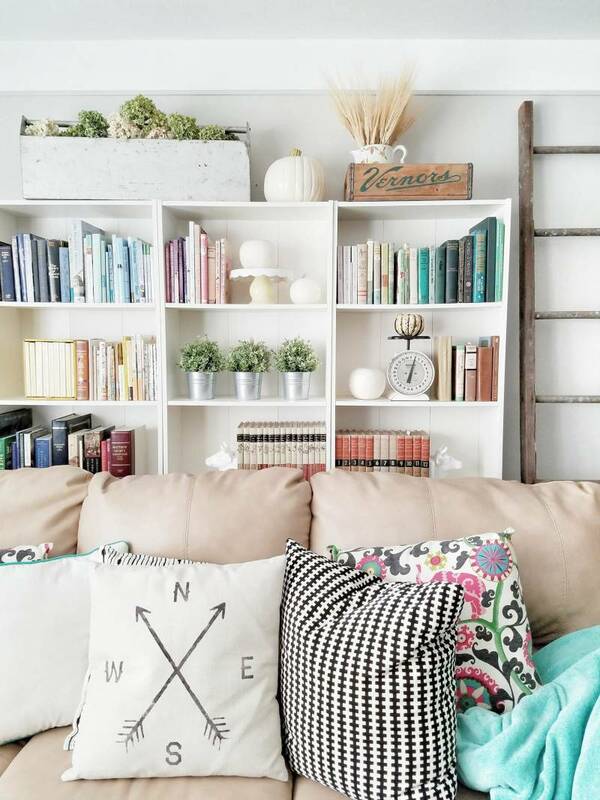 Boots – we used regular black boots! 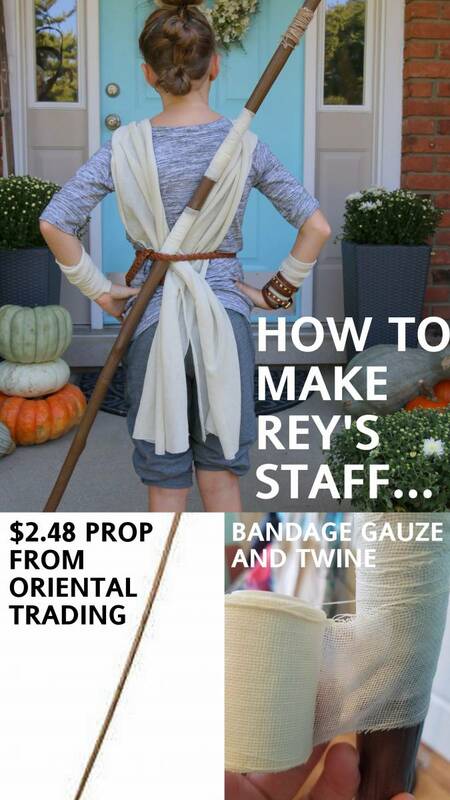 Rey has a brown leather cuff bracelet that she wears – you can get this look in a number of ways. I just used a brown wrap bracelet but you could cut a piece of brown felt, etc. 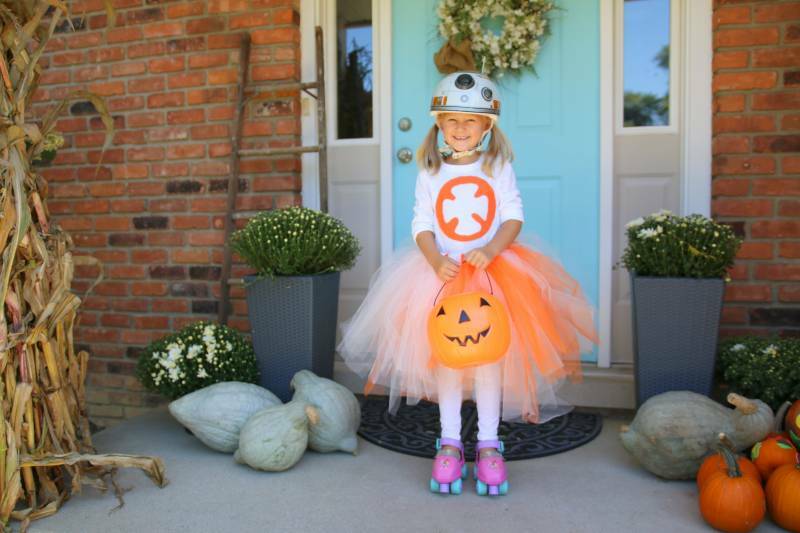 SUPER EASY DIY BB-8 costume too! !